Last night I decided to photograph some stuffed cats I’d won from a UFO catcher machine. 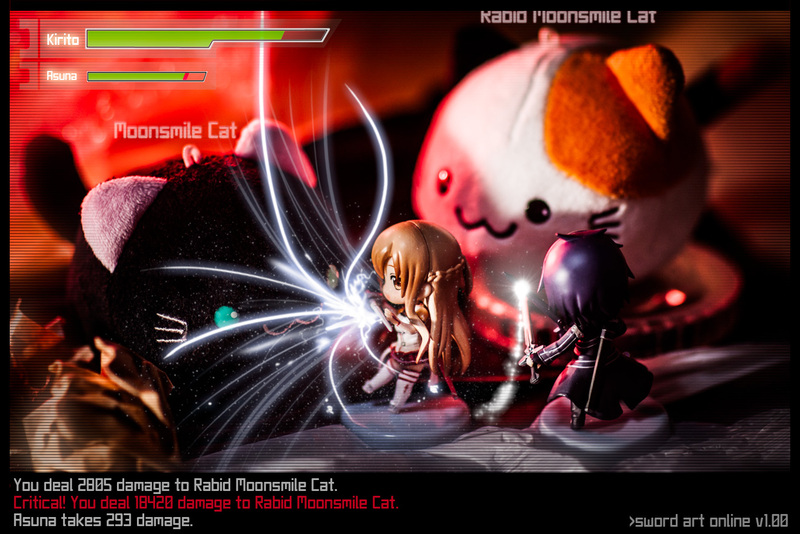 The perfect excuse to whip out the flashes and mix-it-up with some Sword Art Online Niitengo mini-figs! Follow the jump for some behind the scenes on this shot.